A senior Iranian commander says considering the sensitive situation in the region and the spread of terrorism, Tehran and Moscow should move to upgrade military ties and boost their anti-terror fight. “The success of the countries’ armed forces in combating terrorism in Syria and defeating Takfiri terrorists and their supporters in the region demonstrates Iran and Russia’s determination and capacities to counter threats,” Chief of Staff of the Iranian Armed Forces Major General Mohammad Hossein Baqeri said Tuesday. He made the remarks in a meeting with the deputy chief of the Russian Army General Staff, Vice-Admiral Igor Osipov, in Tehran. “The geopolitical and geo-strategic capacities of Iran and Russia make it necessary that the two countries’ armed forces adopt a long-term view and pave grounds for cooperation and plan to boost cooperation within the agreements made in the joint military commission,” he said. For his part, the Russian general presented a report on the formation of the joint military commission of the two countries. Pointing to historic relations between Iran and Russia, Osipov said there are ample opportunities to boost cooperation between the two countries. In a separate meeting, Osipov held talks with Commander of the Iranian Army’s Navy Rear Admiral Hossein Khanzadi, exploring grounds for closer cooperation between the two sides. 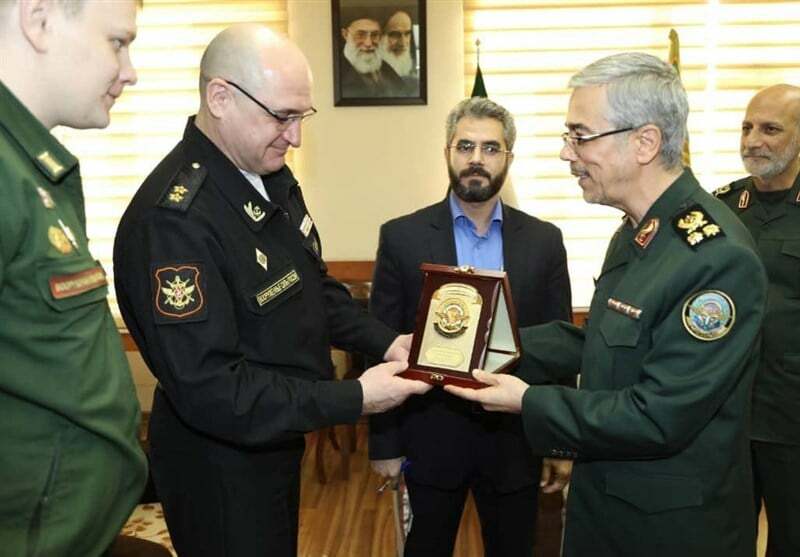 Heading a delegation from the Russian Defence Ministry, Osipov arrived in the Iranian capital on Monday for the joint military commission.